Google has announced that the Chrome App Launcher for Windows, Mac and Linux is being retired with it being completely eliminated by July of this year. Citing the lack of use and the preference for users to launch apps from within Chrome itself, the launcher will be slowly phased out over the coming weeks with apps no longer being able to be added and warning messages that the app is going away in July. By the time July hits, it will no longer be available or supported. In the announcement, the team was clear on their logic behind the retirement. 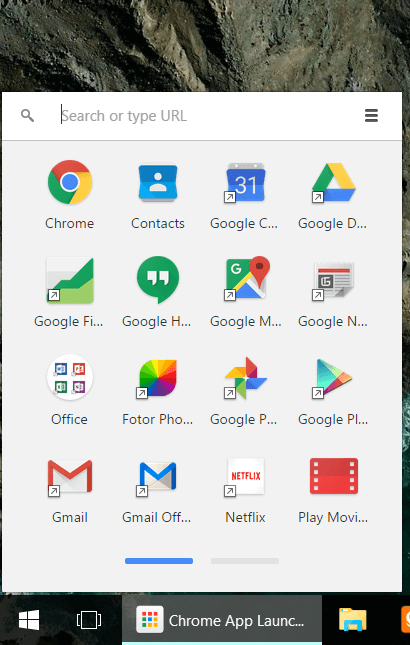 The app launcher makes Chrome apps easy to open outside the browser, but we’ve found that users on Windows, Mac, and Linux prefer to launch their apps from within Chrome. With Chrome’s continued emphasis on simplicity and streamlining browser features, the launcher will be removed from those platforms. It will remain unchanged on Chrome OS. What’s important to this information is that for Chrome OS users, there will be no change. You will still have the launcher. Personally I’m not surprised at all by this announcement. I have the Chrome App Launcher installed on my Windows 10 PC but I never actually use it. I always launch apps from within Chrome – including on my Chromebook – and rarely if ever touch the app in my taskbar itself. It seems that I’m not alone. The announcement goes on to highlight that users can still access installed Chrome-based apps by typing chrome://apps in the Chrome Omnibox (the search bar/address bar). You can read the full announcement on the Chromium Blog.